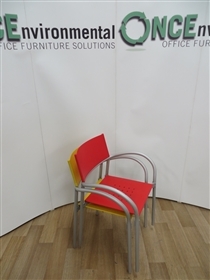 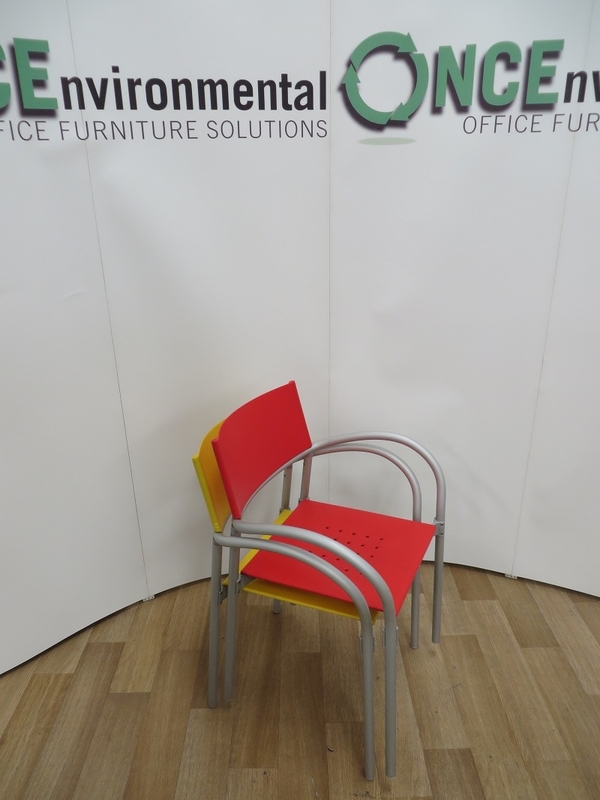 Used Chairs Stackable Coloured Poly Chair With Arms On A Silver Frame. 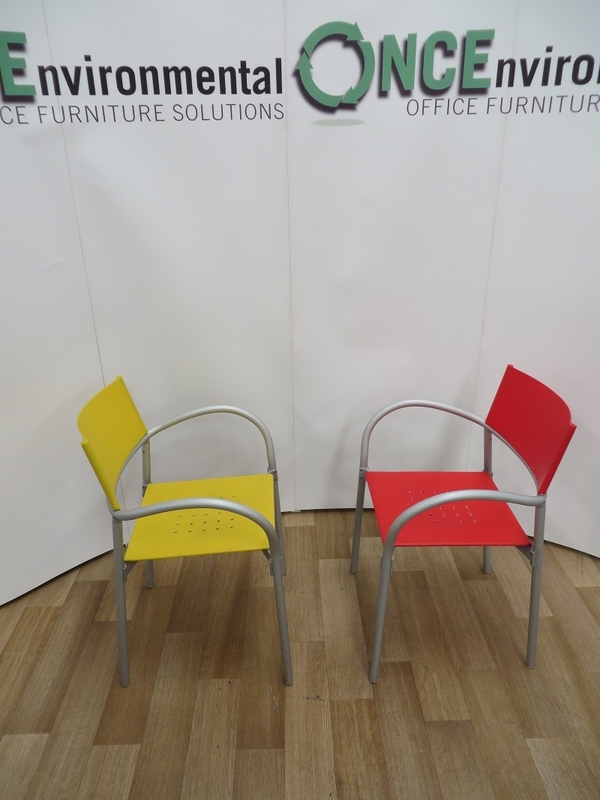 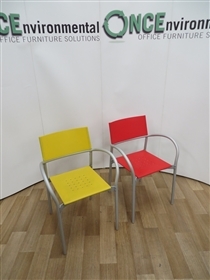 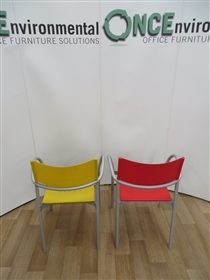 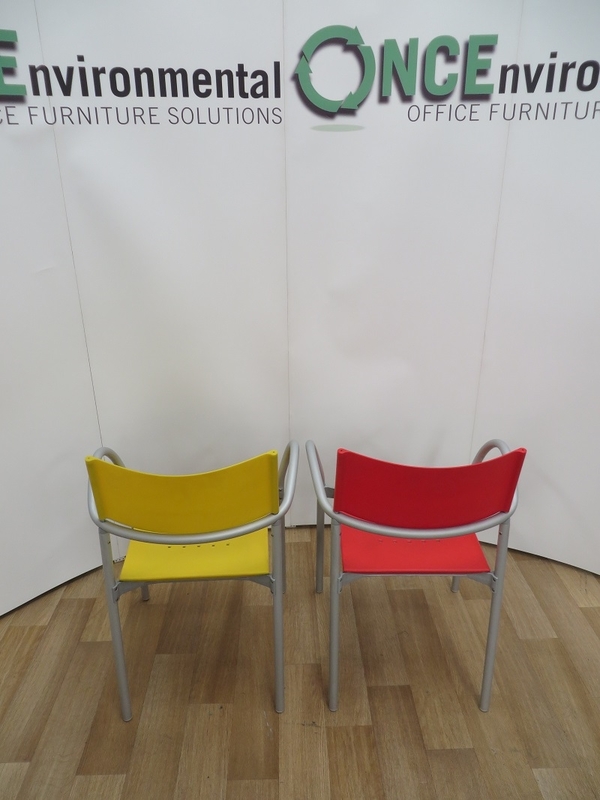 Chairs - Stackable Coloured Poly Chair With Arms On A Silver Frame. 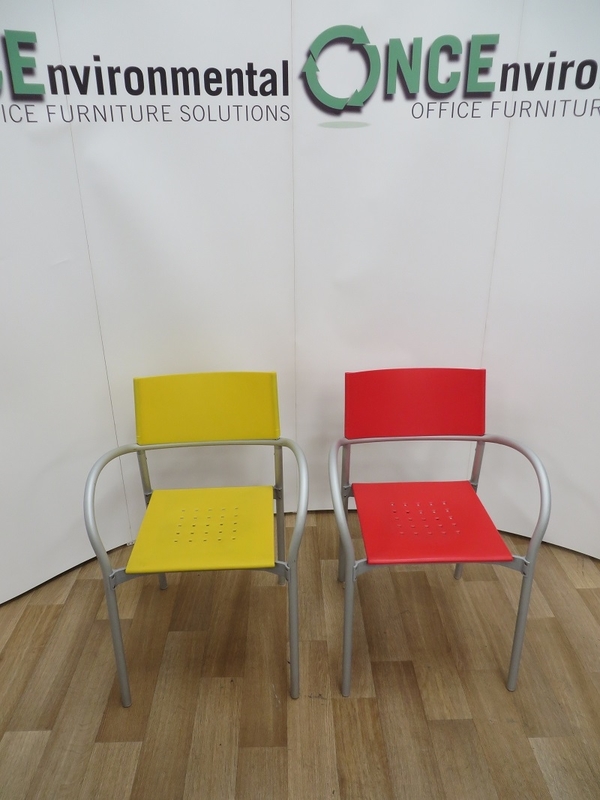 Available In Red And Yellow (4 of each colour).